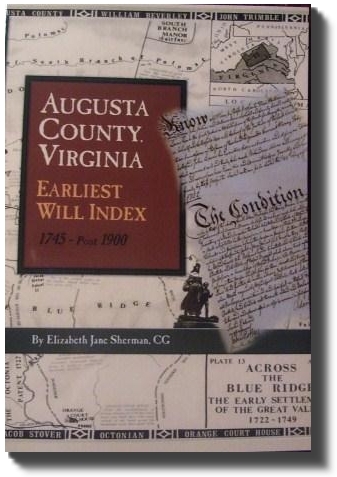 "Augusta County, Virginia, Earliest Will Index, 1754 to Post 1900"
Janie Sherman, Professional Genealogist, is a graduate of East Tennessee State University, with a B.S. Degree in Secondary Education (majoring in English and Sociology); and in 1992 completed a four-year study course, Theological Education for Ministry from the University of the South. A 39-year resident of Staunton, Janie was founder and Director of Trinity Episcopal Pre-school; followed by 17 years serving as Executive Director of the Mental Health Association of Augusta, where she was proactive in the merger of two groups, and was presented (twice) the "Distinguished Service Award," the highest Mental Health Association Staff Award in Virginia. She is a Charter Member and Past-President of the Commonwealth Center for Children and Adolescents (CCCA) Advisory Council, (a Virginia hospital for emotionally disturbed children, formerly DeJarnette Center) and a Board member of Western State Hospital. For the past 25+ years, Janie has been a genealogist. For 15 years, from 1995-2010, she was accredited by the Board of Certified Genealogists as a Certified Genealogist (CG), and while she still takes on selective clients, she has semi-retired to conduct more of her own genealogy. While an advocate for knowing one's own American genealogy, she enjoys her discovered relationships to such Americans as: Dolley Madison, Thomas Jefferson, George Washington and Edith Bolling Galt (2nd wife of Woodrow Wilson), as well as to the infamous Jesse James! She has prepared 100s of DAR/SAR applications, was founder and regent of a DAR chapter and Organizing Governor of the Lady Rebecca Staunton Company of the Jamestowne Society, is a member of more than 40 societies, and has most recently been involved in European genealogy. 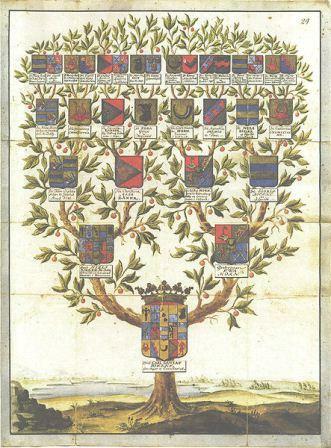 As ALL of her ancestors were Virginians, Janie recently discovered a NEW Virginia Gateway Ancestor, Robert Lawrance of Isle of Wight, VA, son of Sir John Lawrence, a goldsmith of England. She has since discovered her direct ancestors: Charlemagne, through William the Conqueror, to Plantagenet Kings and the Merovingian Dynasty; and most recently has proven her 27th Great Grandmother, Saint Margaret of Scotland (Queen of Scotland and wife of King Malcolm) through daughter, Matilda, who married King Henry I of England. 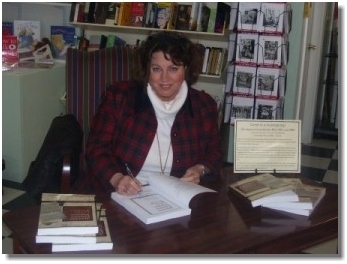 In 2008 Janie published a book, Augusta County, VA, Earliest Will Index, 1745-p1900, and previously has had several articles published in the: Shenandoah Valley Magazine (1986) and American Spirit Magazine (2004). Presently, she is Governor General of First Settlers of the Shenandoah Valley (http://www.firstsettlersshenandoahvalley.com) and Organizing Governor of the Lady Rebecca Staunton Company of the Jamestowne Society (http://jamestowne.org). Janie is married to a fellow genealogist, has two children and seven grandchildren. A great animal lover, she has raised Yorkies and has four champion Yorkshire Terriers under her kennel name, BLUgenes Yorkshire Terriers. She also loves Connemara Hunters (horses), to knit, quilt, travel, and can be found often in a library or walking a graveyard! Descs of Sheriffs/Constables of Colonial Antebellum Amer.